Chess 4 Charity (http://www.chess4charity.com) was founded by a first grader and a third grader, and has already raised over $11,000. The third annual Chess 4 Charity event will be held on Sunday, October 19, 2014. 100% of all proceeds will go to the Torch Relay for Children’s Miracle Network Hospitals. The third annual Chess 4 Charity event will be held on Sunday, October 19, 2014, at Our Lady of Good Council School (OLGC), in Vienna, VA, at 12:30pm. 100% of all proceeds will go to the Torch Relay for Children’s Miracle Network Hospitals. Come play in a chess tournament and help raise money for a great cause. Chess 4 Charity (http://www.chess4charity.com) was founded by a first grader and a third grader, and has already raised over $11,000 for this and other worthy causes. You don’t have to be a chess player to participate. All age levels and all skill levels are welcome at the event. There will be pizza, a snackbar, a raffle and other fun activities, so feel free to stop by to buy some lunch or snacks (proceeds go to the charity). After the main chess tournament, stick around for a chance to play in a “simul” against a National Master. Chess 4 Charity -- Play 2 Give! 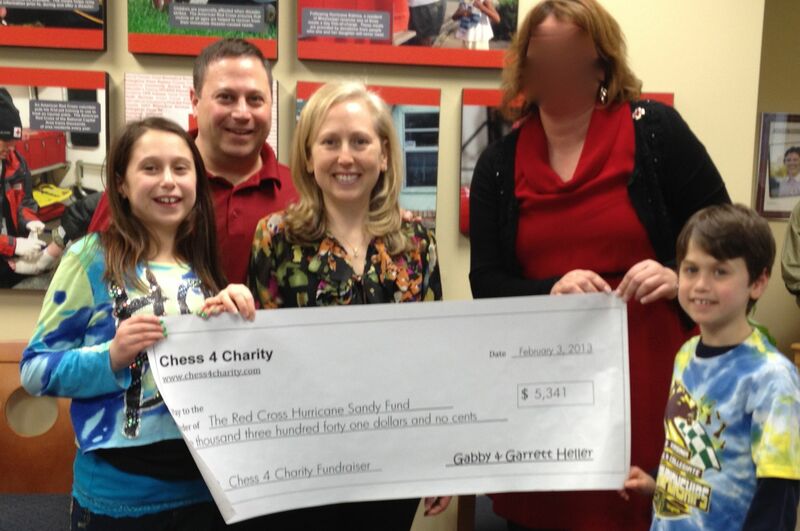 About Chess 4 Charity: Chess 4 Charity, Inc. (http://www.chess4charity.org & http://www.chess4charity.com) is a non-profit corporation founded by two Elementary School children (in Fairfax County Public Schools in Northern Virginia, near Washington, D.C.). Co-founders Gabby (then in 3rd grade) & Garrett (then in 1st grade) came up with the idea to combine Garrett's passion for chess and Gabby's passion for helping others, by holding a chess tournament to raise money for charity. It started as an idea to hold just one chess tournament, but because that was so successful, it has grown into a company, with annual events attended by over one hundred people each year, T-shirt sales, sponsorship opportunities, and more. Chess 4 Charity has raised over $11,000 for charities, including the Ronald McDonald House Charities, the Red Cross Hurricane Sandy Relief Fund, and the Torch Relay for Children’s Miracle Network Hospitals.